The Seatruck Warrenpoint route recently moved 170 ‘Snoozebox’ cabins to provide temporary accommodation for 1350 personnel at the G8 Summit taking place in Northern Ireland in June 2013. Each cabin houses eight individuals in two rooms, each of which has its own bathroom facilities. 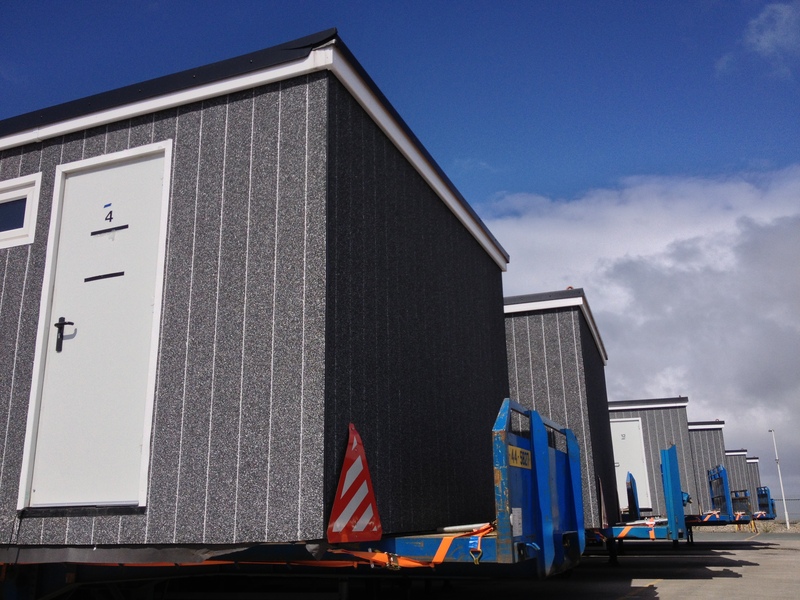 The cabins were moved to a strict timeline with Newry based Motis securing the contract for their transportation to site. "The movement took a great deal of planning not only to meet the requirements of the contract but also to ensure that our regular customers were not disadvantaged by this large movement. Many of the shipments were undertaken on weekend and off peak sailings where space could be made available more easily. The Warrenpoint route is having a busy year with more and more users switching to the service".